2 Bedroom Detached House For Sale in Leicester for Asking Price £200,000. 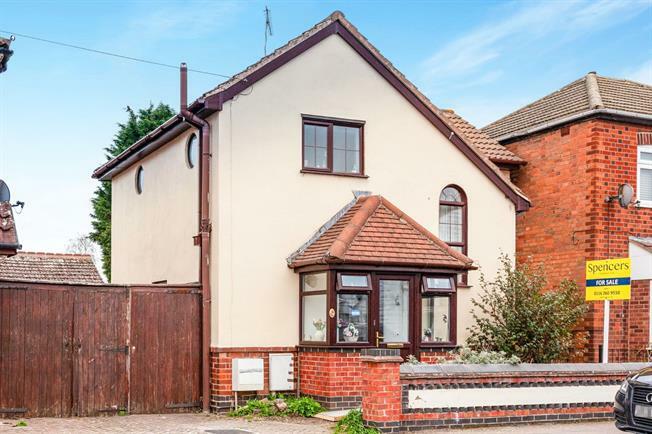 A well presented and deceptively spacious two bedroom detached property which has accommodation comprising porch, hall, lounge, dining room, kitchen and utility. On the first floor are two double bedrooms and bathroom. Outside the property has a generous size garden to the rear along with a detached garage. This fantastic property would make an ideal first time buy or family home. Early viewings are highly recommended to avoid disappointment.